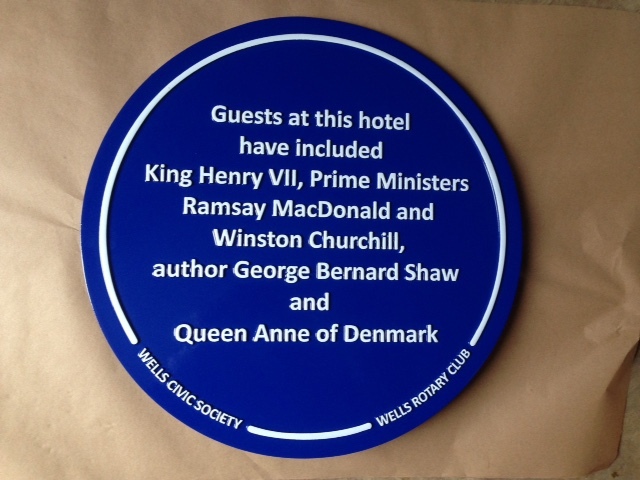 We undertake a large number of cast blue plaque projects for civic societies, businesses, organisations and private individuals from around the country. 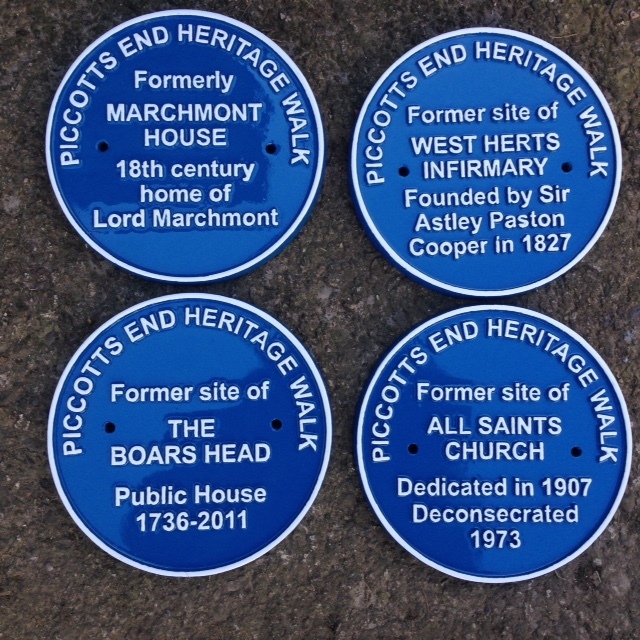 Here's a quick rundown of some of our blue plaque projects. This example is for Dymchurch Heritage Trail. Dymchurch is a small village on the southern Kent coastline, half way between Folkestone and Dungeness. 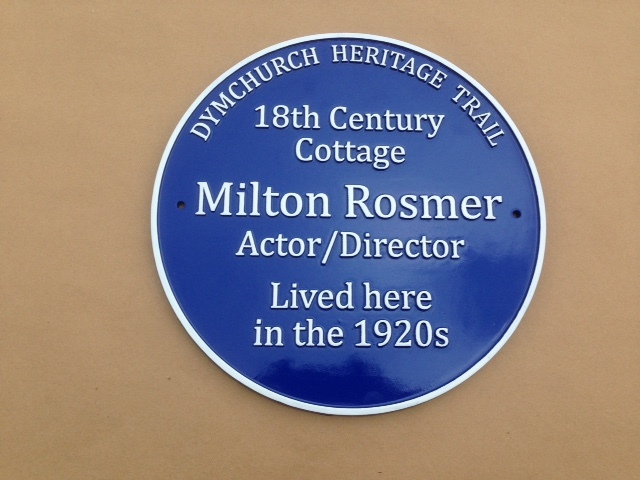 Milton Rosmer was an actor and director who starred in many films and silent films in the early 1900s. 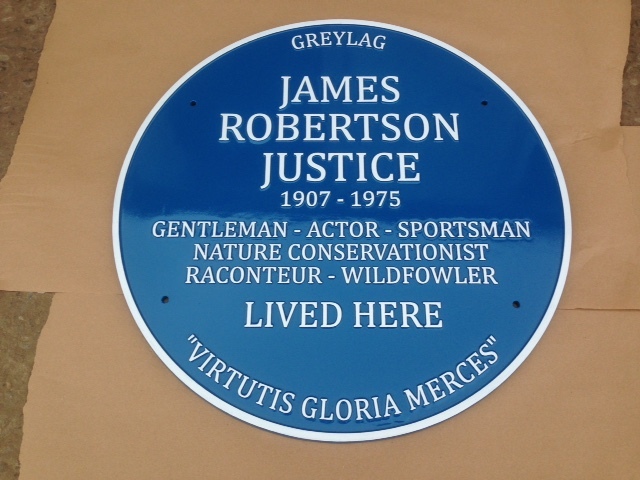 He was active until the 1950s, and died aged 90 in 1970. 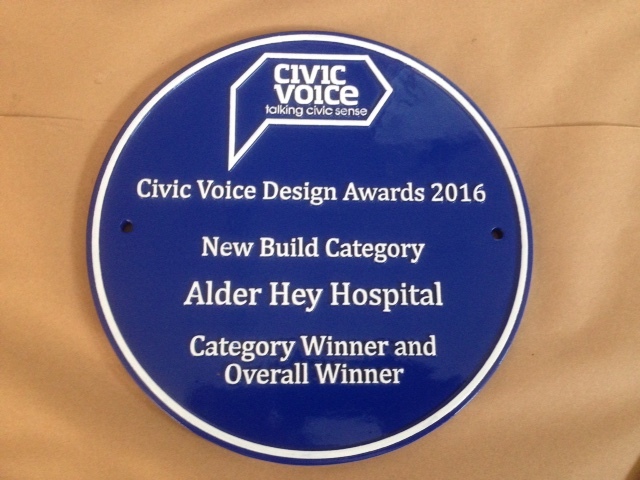 These next two images show plaques produced for the Civic Voice Design Awards 2016. 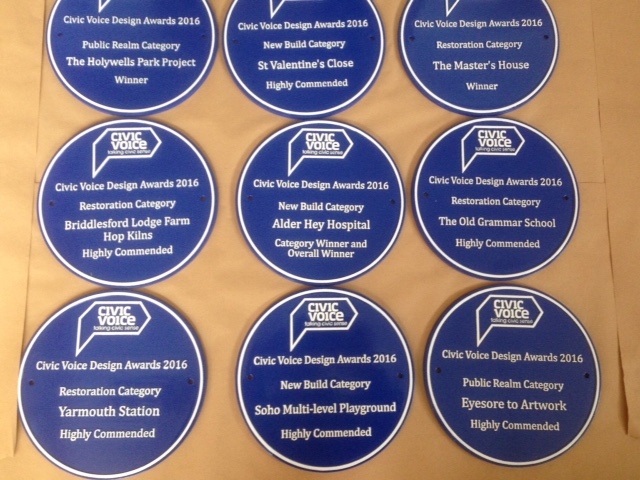 We were delighted to be asked to produce this series of plaques which were presented to the winners of the various categories at a prestigious cermony. The Civic Voice Design Awards is a competition setup to celebrate good design in architecture and the built environment - and all the winners are voted for by the general public. You can find out more about the Civic Voice Design Awards by clicking here or by watching the video below.